Cold Press is ideal for preventing bloating as the food breaks down much quicker in a dog’s stomach. Other proven benefits include an improved immune system, extra energy and reduced flatulence. You may also note a shinier skin and coat. 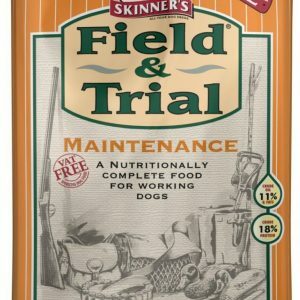 Cold Pressed dog food is nutritionally dense and you will probably need to feed 30% less than normal. Remember to provide a ready source of water. It is important not to overfeed, and gradually switch over from the previous product. Nutritionally complete, hypoallergenic, organic chicken and vegetable bake is simply the best. 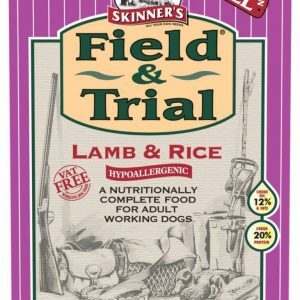 This delicious organic chicken and vegetable dry food recipe is naturally low in fat with glucosamine and chondroitin to help ensure good bone and joint support, added prebiotics to help establish a healthy digestion, as well as providing all the essential nutrients to help your dog’s immune system. It also contains salmon oil, a fantastic source of Omega 3 fatty acids, to help keep your dog’s coat, heart, brain and joints in good condition. 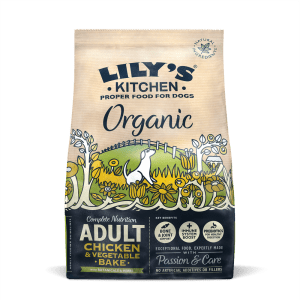 Lily’s make this recipe using freshly prepared, organic chicken, with organic vegetables and botanical herbs. 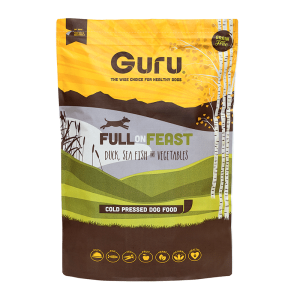 This nutritionally balanced recipe also includes a good source of all the essential vitamins and minerals your dog needs in their daily diet. 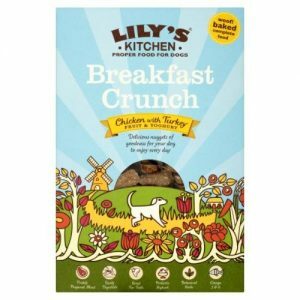 Lily’s baked Breakfast Crunch is the perfect way to start your dogs day! These toasted nuggets of deliciousness are made with lots of freshly prepared turkey meat, with chicken livers, yoghurt, berries, bananas, sunflower seeds and oats. 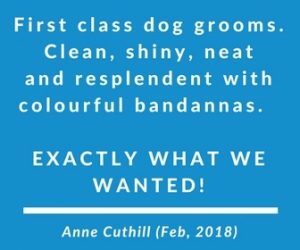 They add botanical herbs like rosehips and marigold petals for your dogs holistic health and a splash of clear pressed salmon oil to put a spring in their step and help keep the sparkle in their coat. Each mini nugget is slowly oven baked until golden and crunchy, so our recipe is gentle on your dog’s tum and good for their teeth. 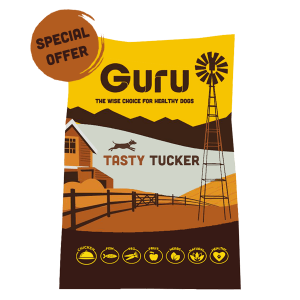 We make this recipe with wholesome, naturally nutritious ingredients – freshly prepared meat, vegetables, fruits and herbs – to produce a delicious, digestible food for dogs. 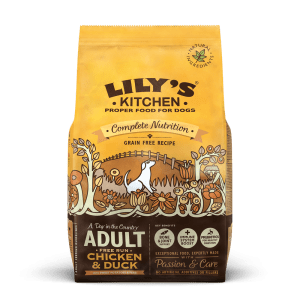 Lily’s only ever use proper meat in their recipes: no meat meal, no bone meal, no rendered meat. Our unique recipes don’t contain any cheap fillers – like wheat, corn or soya – and they don’t contain any nasties. MOUNTAIN STREAM is a complete grain-free, dry food for dogs from two months old. It can be fed on its own or mixed with a quality wet dog food. 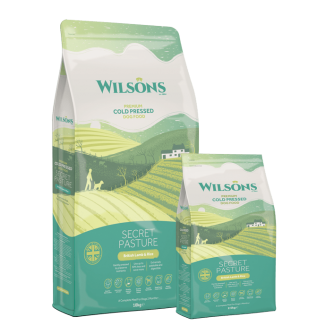 Wilsons Cold Pressed has been especially made to preserve the nutrients which are essential for your pet’s good health. 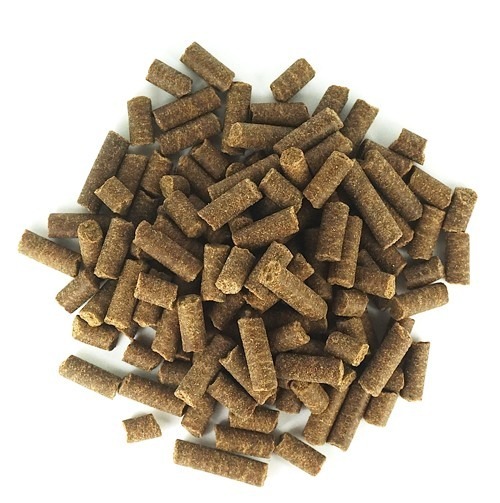 Instead of using meat meal, we take a high percentage of single-source salmon then mix with a blend of vegetables, fruit, minerals and supplements. We use seven different vitamins in all our recipes. 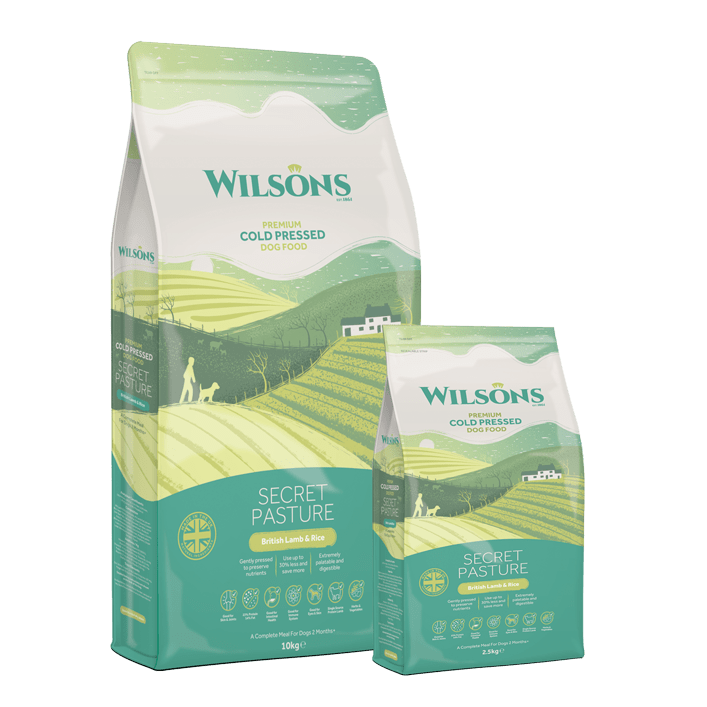 We then take the high-quality, natural ingredients and gently cold press them at a much lower temperature than dry extruded dog food in order to retain the vital nutrients. There are no artificial colours, aromas or preservatives.